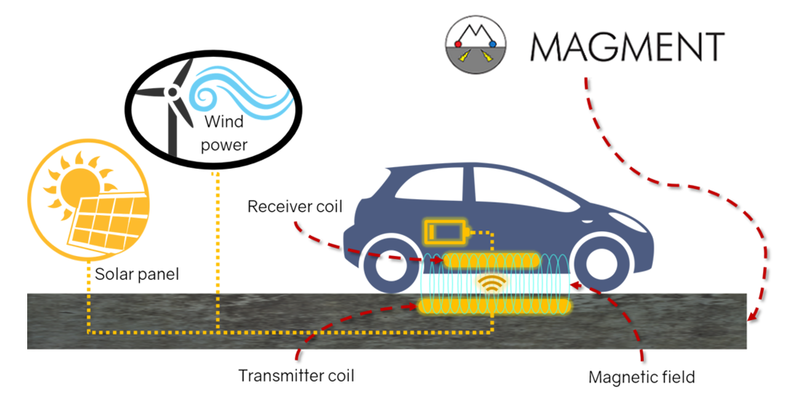 Bavaria’s startup Magment has patented a new material with the properties of cement that at the same time can create a magnetic field in order to enable both static and dynamic charging of electric vehicles. First projects are underway. Based in Unterhaching close to Munich, Magment’s “magnetizable concrete material” is made from concrete mixed with ferrite particles from recycled electronic waste and the ferrite industry. The startup says its patented material allows energy to flow into a coil to then inductively charge electric vehicles, even while driving. 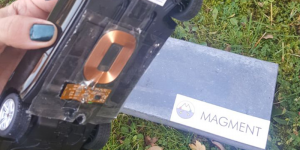 Their Magment can be based on asphalt or cement and is thus easy to use to build roads or parking spots cheaply and the young firm says they are currently working on projects in Finland, Germany and China. Partners include government and business partners. In Finland for example, the magnetic road is tested under extreme weather conditions while Germans are wanting the energy to come from renewables. Magment says the biggest project is in China, where they are about to receive approval for a full BRT system utilising their magnetizable concrete.